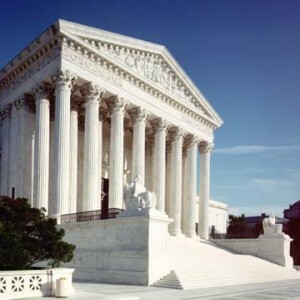 The Supreme Court decided important cases today on political bribery, abortion rights and gun rights. 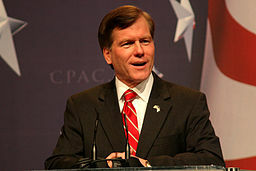 The highest court struck down a restrictive Texas abortion law and vacated former Virginia governor Bob McDonnell’s bribery conviction. It upheld a federal gun law that forbids gun ownership if convicted of domestic violence. The court ruled that Texas’ HB2 draconian abortion law is unconstitutional and struck down the abortion law which unduly interferes with the rights of women to obtain an abortion. In a decided ruling of 5-3, the Supreme Court ruled that Texas HB2 law which placed strict standards against abortion doctors, clinics and almost closed all access to abortion in Texas is unconstitutional. The Supreme Court rejected Texas’ argument that the law was intended to protect women’s safety. The law was written to block women’s access to abortions in the State of Texas. While Congress or the Senate has failed to pass any meaningful laws on gun control, the Supreme Court made clear today that no absolute right exists for gun ownership for those who have committed and been convicted of domestic violence. 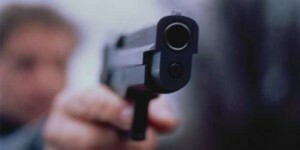 The Supreme Court upheld a federal law which prohibits people convicted of domestic violence from legally owning guns. In a blow to gun rights advocates, the Supreme Court made clear that the law covers intentional acts of domestic violence and those that are committed in the heat of an argument, whether misdemeanor or felony conviction. In upholding the federal law, the Supreme Court affirms that the second amendment is not an absolute right to bear arms for those convicted of domestic violence—however it occurs. And the Supreme Court also indirectly inferred that those who are victims of domestic abuse are entitled to have gun right ownership stricken from their abusers. In many jurisdictions, local state laws also forbid the ownership of guns by those who have committed an act of domestic violence. And individuals are required to turn into law enforcement authorities any guns that they already possess. The Supreme Court did not focus on the gifts but focused on what constitutes official duties in exchange for the gifts–which is bribery if gifts are accepted in exchange for “official acts”. The highest court sparred McDonnell from jail by stating the official acts under federal corruption law means more than setting up business meetings, a launch at the governor’s mansion of Williams’ business and talking to others. And without more actions, it does not meet the bribery standard. While the Court left open that McDonnell could be retried, it is not likely that will occur as the entire case rested on the theory that the Supreme Court struck down. What the Supreme Court stated is that it’s acceptable for lawmakers to receive the massive amounts of gifts that McDonnell received without any case, controversy or matter that may be pending. And the ruling also may have some implications for recently convicted politicians and those awaiting trials on bribery issues. In all, Monday was a busy day of rulings for the Supreme Court. Washington, DC based Debbie Hines is a lawyer, legal analyst and member of the Supreme Court bar. As I sat through the three trials of Baltimore police officers charged with the death of Freddie Gray, it became apparent that the Baltimore police department needs serious independent oversight. Baltimore police cannot police their own police. Just like Freddie Gray, Dondi Johnson was another individual who sustained a fatal spine injury in a Baltimore police van. Johnson and others like Gray’s family received civil settlements. Since 2011, Baltimore City has paid over $13 million in police brutality cases, including alleged rough rides. These incidences, while difficult to prove a “rough ride” theory in a criminal court, should be the subject of Department of Justice oversight. The Department of Justice launched its investigation into the practices and patterns of the Baltimore police department in May, 2015. In the Freddie Gray trials, the state could not prove a rough ride existed, one where the van driver intentionally goes on a maniac driving pattern to rough up the prisoner in the van. The state’s neurology expert, Dr. Morris Soriano, testified that without extreme force, Freddie Gray’s injuries would not have occurred. And Soriano further opined that Gray could not have caused his own injuries. And I’ve heard of Baltimore residents talk about prisoners being given rough rides, while handcuffed and shackled in the van without a seat belt. I seriously doubt if those who sustained injuries or ended up becoming paralyzed are fabricating stories, having freak accidents or causing their own paralyzing injuries. Judge Barry Williams stated that Caesar Goodson, the van driver in Gray’s case, had no reason to give Freddie Gray a rough ride. Williams cited that Gray had done nothing to Goodson, like spitting on him, for Goodson to have a motive for a rough ride. Judge Williams needs to come out of his ivory tower a little more often. There is no motive necessary for police to treat African Americans and other minorities with disdain. One need only look at the cases of Eric Garner, Walter Scott, LaQuan McDonald, Samuel DuBose and many others whose lives were taken by police without any motive. And the Baltimore police are known among many in the African American community of treating African Americans with less than humanity and dignity for decades. If motive is a criteria that a Baltimore judge needs to determine police misconduct, there will be no police misconduct found in brutality cases. The more troubling aspect is the Baltimore police policy on seat belts. While seat belts are required by law in Maryland and most states, they are not required by law in police vans. Baltimore police officers have general orders to use seat belts but apparently, according to court testimony, have discretion to refrain from using them. And most Baltimore officers do not use seat belts citing safety reasons. Even when Gray was found to be lethargic, Goodson and officer Porter still refrained from securing him with a seat belt. There is no use for mandatory police general orders if Baltimore police can use their discretion to ignore them. Even a defense police expert from Charlottesville, VA testified in the Porter trial that chief of police general orders are intended to be followed. The most troubling issue in the Gray trials is the police discretion to call a medic, if requested by the prisoner. Testimony revealed that police are not to use their own judgment when a prisoner requests a medic. Officer Porter testified that Gray stated the words “help”. Porter asked Gray if he needed a medic to which Gray replied “yes”. According to the testimony, Gray appeared lethargic. Yet, Judge Williams found there was no need to call a medic or for Goodson to drive to a hospital less than 3 miles away, as Gray did not exhibit any physical injuries such as blood. This essentially leaves the discretion within the police officer’s control as to whether or not to call a medic or transport a prisoner to a hospital. Many injuries such as strokes, mental issues necessitating hospital care, asthma, breathing issues, neck injuries and internal injuries like Gray sustained will often show no outwardly visible signs. Leaving it to the police officer’s discretion may, in cases like Gray, result in serious life threatening injuries or death. Police cannot be the sole arbiter of injury. No harm would result from a police medic being called in these cases. And a life could possibly be saved. These issues are only several that were raised in the Gray trials which necessitate that the Department of Justice place oversight authority over the Baltimore police. The Justice Department has extended oversight reform following investigations of other police departments, including Ferguson, following Michael Brown’s death, New Orleans, Los Angeles, Detroit and over 20 other cities. And oversight authorities often extends for years. The Justice Department has legal authority to investigate police agencies for systemic problems and force them to implement reforms. Following the verdict in the Goodson case, the Baltimore police union tweeted a tweet showing their delight in the acquittal while mocking State’s Attorney Marilyn Mosby—as a lone wolf. It has since been deleted. There is no need for frolic and partying by Baltimore police where a young man’s life was taken while in police custody. There is a need for Justice Department oversight of the Baltimore police department to change culture, make necessary reforms and prevent the loss of other lives. A week following the Orlando Pulse nightclub mass shooting and killing of 49 persons, it’s business as usual for many of our GOP politicians. Despite four Senate bills advanced by both parties, no gun control law passed this week. A homegrown terrorist living in the U.S. may still buy an assault weapon and hundreds of cartridges to kill innocent Americans. And many of our Republican lawmakers lack the guts to pass any common sense laws to protect innocent lives from being taken at the hands of a mentally ill or homegrown terrorist. Inaction means more lives will be taken. The bills voted down on Monday ranged from the tepid GOP bill to ban potential terrorists from buying a gun but here’s the caveat—only if, a judge found probable cause to determine the person is actually involved in terrorist activity. Of course, by then, the alleged terrorist would have sufficient time to buy guns and take multiple lives. Our lawmakers couldn’t even agree to bar persons already suspected of terrorist activities or on the “no fly” list from buying guns. Of course, the bill to ban assault weapons failed. The context of guns and gun violence is deeply embedded in our country’s DNA. Mass killings by guns didn’t just start in the 21st century. Our country was founded on gun violence, beginning with the American Revolution. And although the National Rifle Association (“NRA”) bears a lot of responsibility for our present day gun control failures, the NRA is not wholly to blame. A great share of the blame goes to the NRA and GOP politicians’ reluctance to make any meaningful reforms. The NRA is in the back pockets of many politicians who might vote on gun control. And despite the fact that politicians should represent their constituents’ interests, many politicians represent their own self-interest in staying in office albeit with the help of the NRA. And so now we live in a country where no one is immune from mass gun killings whether in churches, elementary schools, colleges and universities, airports, clubs and bars, movie theaters, shopping malls and everywhere people congregate. Senator Chris Murphy (D. CT) stated he intends to bring the attention of those GOP lawmakers who lack the guts to protect Americans to the public’s attention. While most Americans support common sense gun control measures, many Americans continue to vote for those same politicians who refuse to pass gun control legislation. While Senator’s Murphy stance is commendable, it will not bring reform. Ditto for the House sit-in staged on June 22 by House Democrats organized by Representative John Lewis (D. GA). The power to change the gun control debacle lays within the same activist groups that were responsible for the passage of gay rights and civil rights legislation. It will take a grass roots effort. We can no longer rely on many of our gutless GOP and some Democrat politicians to protect us. The Human Rights Campaign (“HRC”) announced that it will become active in the gun control battle as many in the LGBT community are overwhelmingly affected by gun violence. 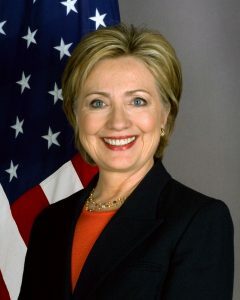 It is the first time the HRC has taken a stance on an issue such as gun control. There are many gun control activist organizations. They must align with other major campaigns such as civil rights organizations, LGBTQ community activists, women’s rights activists, Black Lives Matter activists and many other activists who care about protecting human life. The gun control issue can no longer be left to our politicians, particularly our GOP leaders, to lead the country in the right direction. They have failed us miserably. Our lawmakers mourn the loss of life taken by mass gun violence until the next one occurs. Then they refuse to pass laws to help prevent mass gun violence. Common sense tells us that doing nothing will result in more mass killings. And the blood will be on our gutless GOP politicians’ hands. I urge all activist groups to take an active stand in support of gun control measures. If we keep doing the same thing, we will get the same results-the loss of more innocent lives. 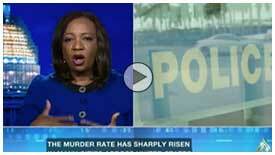 Washington, DC based Debbie Hines is trial lawyer, legal analyst and former prosecutor. She is also a gun laws expert and supporter of gun control. Officer Caesar Goodson’s trial transcends beyond Baltimore in exposing difficulties in proving police brutality cases when relying on police to investigate other officers. 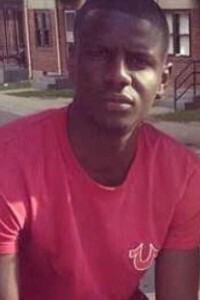 Closing arguments begin on Monday, June 20, in the trial of Caesar Goodson, the van driver and third Baltimore officer, to go to trial for the death of Freddie Gray. Goodson’s trial exposed the heart of the problems with proving these officers guilty of the various crimes for which they are charged in Gray’s death. And Goodson’s trial transcends beyond Baltimore in exposing difficulties in proving police brutality cases when relying on police to investigate other officers. Gray died on April 19, 2015 after being placed in police custody in a police van without a seat belt on April 12, 2015. The state alleges he was given a “rough ride” by van driver officer Goodson, which ultimately resulted in his spinal injuries and death, along with a failure to seat belt Gray, to avoid injury. Goodson faces the most serious charges of second degree murder, manslaughter and other lesser charges. At times during the Goodson trial this week, it appeared as if a war existed between the two parties—the police responsible for investigating Gray’s death and prosecutors. And yet, the state must rely upon the investigating police officers to obtain a conviction. Everyone who knows what really happened to Freddie Gray is a police officer. Through the police lens, the view appears tilted towards helping to exonerate Goodson. Before the beginning of the Goodson trial, prosecutors were turning over evidence to the defense that had not been previously turned over to prosecutors in over a year. And then this week, Det. Patty Bauer testified for Officer Goodson that she trained him but never trained him in seat belting prisoners- a key issue. Her entire testimony ended up being stricken by Judge Barry Williams when she further acknowledged that she wasn’t sure that she was the one who taught Goodson. Through the prosecutor lens, the integrity of the police investigation into Gray’s death was flawed with sabotage from the beginning. In a rare courtroom scene almost straight out of a movie, prosecutors accused police investigators of trying to sabotage their case. The rift between the two parties, prosecution and their investigating police, began when State’s Attorney Marilyn Mosby launched an independent investigation in April, 2015. With prosecutors and investigating police at odds, in addition to the presumed code of blue silence among police officers, the family of Freddie Gray and the City of Baltimore may never know what really caused the death of Freddie Gray. The state’s theory against Officer Goodson is that he gave a “rough ride” to Gray which resulted in the spinal injuries at the van’s fourth stop. At trial, the state showed very little, if any, evidence of a rough ride. A rough ride as testified by an expert state witness is retaliatory prisoner transportation. The state’s expert testified that prisoners who are unsecured by seat belt but shackled have no way to stop themselves from becoming projectiles in a police van. There was no direct testimony by any witness that Freddie Gray was given a rough ride. No video and no independent eyewitnesses exist. Although the term “rough ride” is known in many communities in Baltimore, there is no direct proof in this trial. CCTV video does not show the van travelling erratically except for going through a stop sign. A rough ride is almost essential to prove Goodson committed depraved heart second degree murder. That charge is hanging on by the very thinnest thread. The defense claims that Gray sustained his injuries in a “freakish accident”—not by a homicide. Dr. Carol Allan from the Baltimore Medical Examiner’s office performed the autopsy on Gray and ruled his death as a homicide. She emphatically denied ever calling it a freak accident. However, the defense was allowed to put on a police witness that stated Allan previously said during investigation it was likely a freakish accident. The state further relies on the theory that Gray should have been seat belted in the van as police orders state. However, the police general orders are policy and not law. Another complication for the state is whether police had a duty to call a medic for Gray when he allegedly requested one. Herbert Reynolds, a first aid instructor, stated a duty exists for an officer to seek medical aid when a prisoner requests it. But he later added only if the officer also readily observed medical distress. And despite Officer Goodson? being seen on video observing Gray in the van, no one testified that he saw any medical distress signs. The strongest state witness on how Gray’s injuries occurred was Dr. Soriano. He testified that Gray’s injuries could only be sustained by an extremely high force and not by causing his own injury—as the defense contends. Det. Boyd testified that at the presumed time of Gray’s injuries, the van was less than 3 miles away from a hospital but the van drove another 21 minutes. A medic, if called, could have assessed Gray’s condition in 30-60 seconds, When the van made its final stop, Gray’s heart had stopped beating. Defense experts dispute the claims of Dr. Soriano and contend Gray’s injuries occurred after Goodson checked on him. The facts of Gray’s death are compelling. The entire state’s case is mostly built on inferences and circumstantial evidence. And prosecutors can win murder cases based on circumstantial evidence. But like O.J. Simpson and Casey Anthony cases prove, murder cases are also lost on circumstantial evidence. The inferences on which the state wants the judge to rely upon may be too high of a mountain to climb for a conviction. It’s not what you think happened in criminal law, it’s what the state can prove beyond a reasonable doubt. If the state fails to prove its theories beyond a reasonable doubt to Judge Williams of a homicide due to rough ride given to Gray, a duty to seat belt Gray and a duty to call for a medic or transport Gray to a hospital, then Goodson will likely be found not guilty of some if not all of the charges: second degree “depraved heart” murder, involuntary manslaughter, vehicular manslaughter (2 counts), assault, reckless endangerment and misconduct in office. If Judge Williams believes the testimony of the state medical examiner’s ruling Freddie Gray’s death a homicide and Dr. Soriano’s testimony that Gray could not cause his own injuries, then Goodson may be found guilty of some of the charges. After closings on Monday, the fate of Caesar Goodson is in the hands of Judge Williams. Closing arguments begin on Monday, June 20 at 10:00 a.m.
Washington, DC based Debbie Hines is a trial lawyer, legal analyst and former Baltimore prosecutor. She is frequently seen on Al Jazeera, BET, CBS, PBS, MSNBC, Sky News, Fox 5 DC, among others. Her Op Ed articles have appeared in the Baltimore Sun, Washington Post and Huffington Post. Hillary Clinton made history on June 7, 2016 in becoming the presumptive Democratic nominee for President. Since the passage of the 19th amendment legally giving women the right to vote, we’ve seen the first woman run for democratic nomination as president of the U.S. No, it was not Hillary Clinton. It was Congresswoman Shirley Chisholm (D. NY) in 1972. It has taken another 44 years for a woman to accomplish the goal that Shirley Chisholm set out to accomplish. History often erases the accomplishments of women and particularly African American and other minority women. And that’s why I want Hillary Clinton to unequivocally and repeatedly acknowledge her debt owed to Shirley Chisholm. Congresswoman Chisholm (D. NY) was the first woman to run for the democratic nomination as President of the US. She was also the first African American woman elected to Congress. 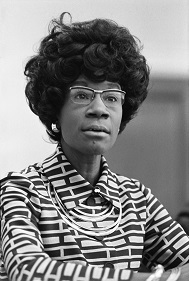 In 1972, Chisholm became the first African American candidate for president. In doing so, she blazed the trail for Hillary Clinton and Barack Obama. Congresswoman Shirley Chisholm ran on the platform of “unbought and unbossed.” And I don’t want the history of Shirley Chisholm to be swept under the rug with the presumptive Democratic nominee Hillary Clinton. Hillary Clinton did what Shirley Chisholm could not accomplish. Clinton’s history making accomplishment was made on the back of Shirley Chisholm. And I want Hillary Clinton to acknowledge that she climbed the glass ceiling with Chisholm leading the way. Chisholm didn’t reach and break the glass ceiling because our country and the times were not ready for her. Times have changed since Chisholm ran for president. The empowerment of women is as lawmakers and change-makers. This is where we change the fabric of our society. Yet, many women do not seek elective office. We need more organizations and PAC’s like Emily’s List to make it easier for women to seek and win elective office. Emily’s List helped to elect Senator Barbara Mikulski, the first democratic woman elected to the U.S. Senate. We need more Barbara Mikulski’s. California Attorney General Kamala Harris won the California primary on June 7 for the vacating seat of Senator Barbara Boxer. She now progresses to the general election in November. With more elected women legislators on the local, state and national levels, we serve to make the changes necessary to move this country forward to one of liberty and justice for all. Recently, Senator Harry Reid and Congresswoman Nancy Pelosi have hinted at a woman, particularly Senator Elizabeth Warren, serving as vice president on the Democratic ticket. While some have stated that two women would be too much change with presumably Hillary Clinton at the top, I prefer to think of it as the change we need. With the exceptions of Democratic vice president nominee Geraldine Ferraro in 1984 with running mate Walter Mondale and Republican vice president nominee Sarah Palin in 2008 with John McCain, no other women have been nominated as vice presidential candidate in either major party. No woman has ever served as vice president—ditto for a woman serving as President. The time is now to make the changes to move this country forward. Let’s move the country forward with two women leading the way at the top. I urge presumptive Democratic presidential nominee Hillary Clinton to select Senator Elizabeth Warren (D. MA) as her running mate. There is no better way to unite the Democratic Party and to serve the country. The debt owed to Shirley Chisholm would be paid in full with two women leading the country as president and vice president. 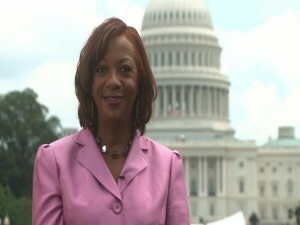 Washington, DC based Debbie Hines is a lawyer and legal analyst /political commentator.